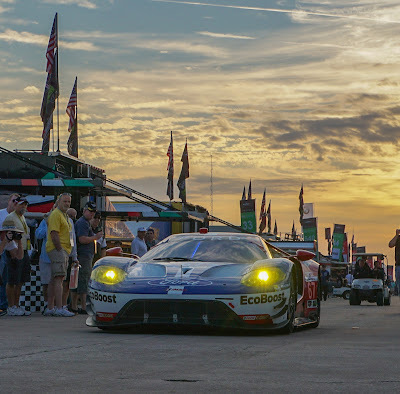 It must be special, this Le Mans thing. Journalists, race fans, magazine articles are still talking about a race one day in June 50 years ago in the French countryside. 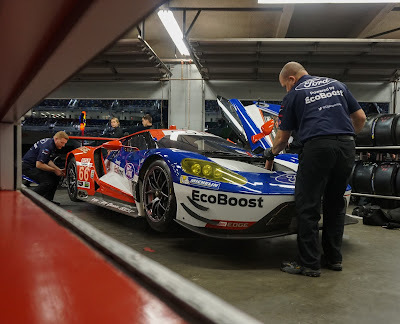 The 24 Heures Du Mans, or as we Americans say the 24 hours of Lee Manns. Throw in a southern accent and the Europeans still laugh to this day. Sometimes us Yankees say the 24 Hours of La Ma so we sound European. It doesn't matter because there was no laughing back then. Henry Ford II was on a mission that started in 1964 to show Ferrari, who had dominated for several years, a thing or two. Let's just say Henry Ford II and Enzo Ferrari were about as friendly as Donald Trump and Ted Cruz. Henry had tried to buy out Ferrari and Enzo would have none of it for starters. So if you want to prove a point, Henry thought the best place was on the race track- THE race track- Le Mans! 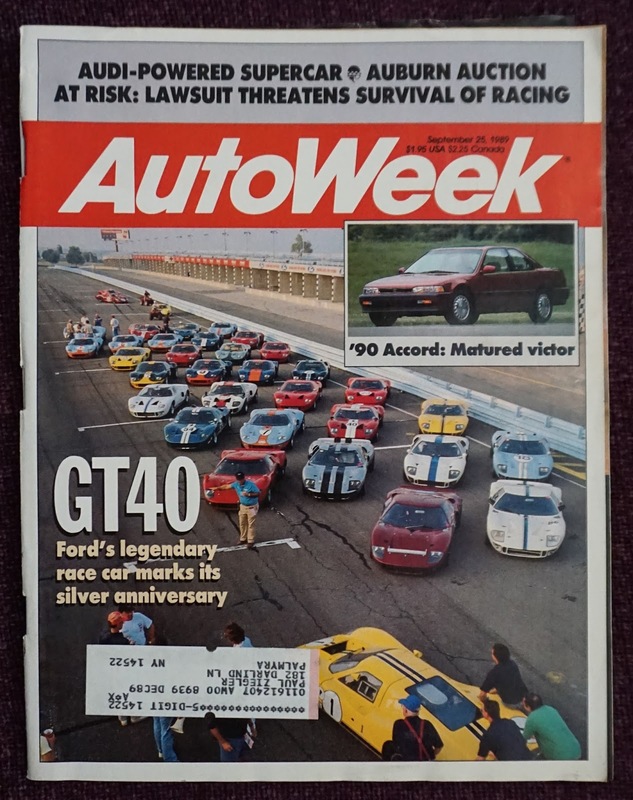 Ford ordered the development of Godzilla, or I should say, the Ford GT 40. It took a couple of years, but history proved Mr. Ford was right. The Ford GT 40 became one of the most important race cars in history. A car that not only proved the point to Mr. Ferrari, it changed the course of history so to speak regarding the American car industry. 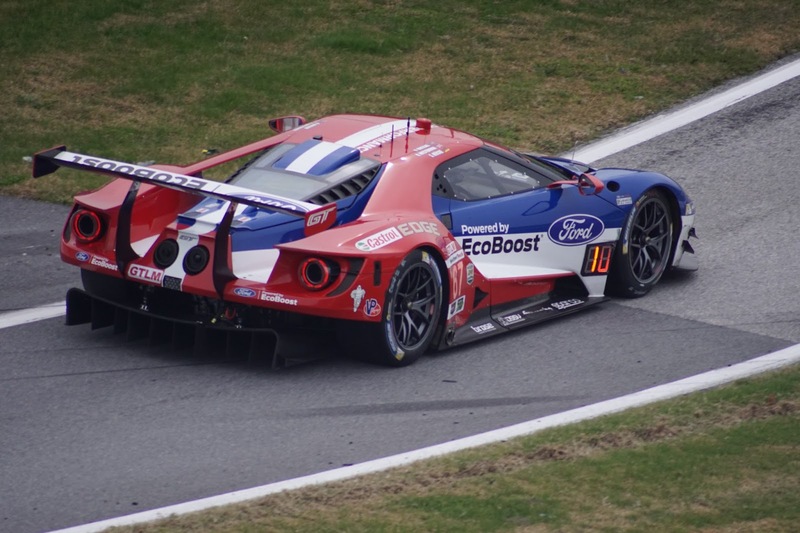 America was riding high, showing the world it could bring its technology, ingenuity and creativity to the table and build a car that conquered the sports car world. No wonder Detroit was about the begin the 'golden years' of the Pony Cars- the Mustang and Camaro, all the way up to the mid sized Muscle car craze. 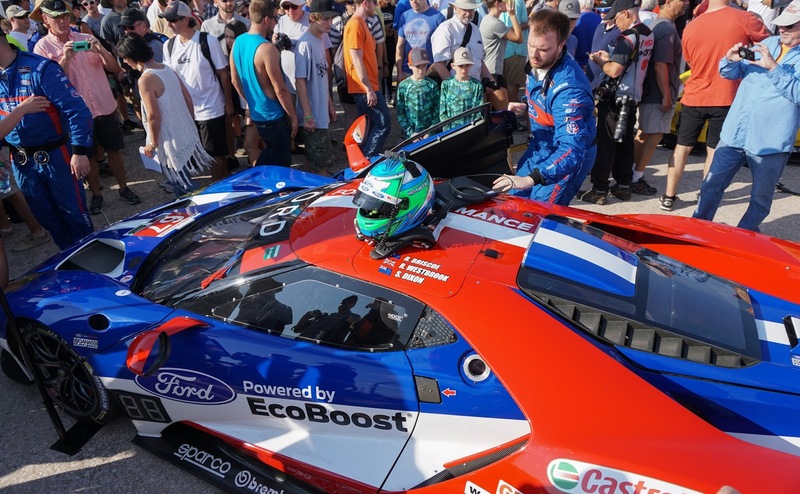 Might be the Ford GT 40 fueled the fire for some spectacular cars we could buy. 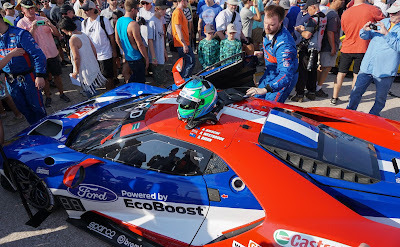 All you need to do is be approved by Ford to buy one - include your own video why YOU should be allowed to buy one of only 500 being made this year. Yes - watch the 'Click Here' link! 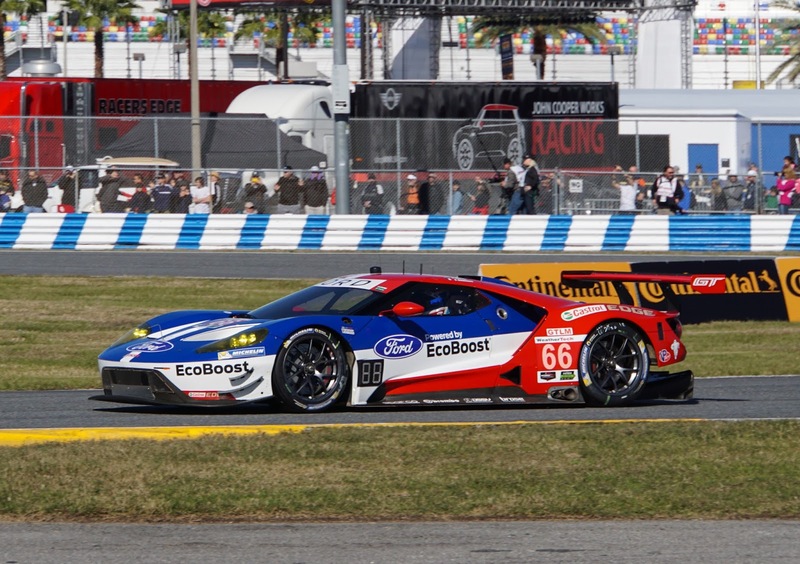 History is coming full circle in 2016 with the NEW Ford GT ready to go in June at Le Mans with four cars and 12 drivers. You might say these guys are serious about winning. 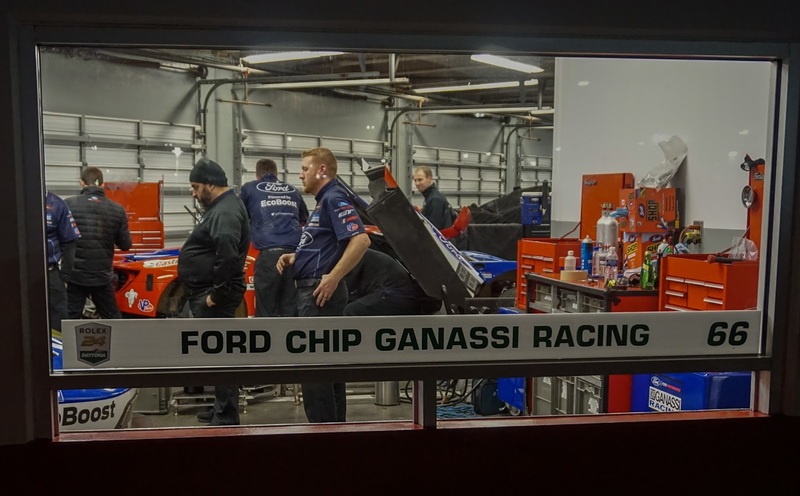 The team Ford hooked up with is the well known Chip Ganassi Racing. I was on hand to photograph the new Ford GT at the Daytona Rolex 24 Hour in January and then again in March at the 12 Hours of Sebring. I have some of the pictures below. 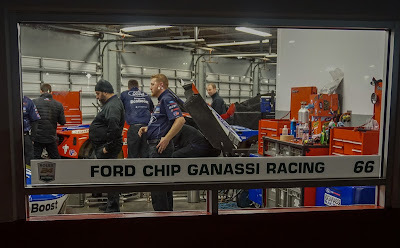 I can say, it was exciting seeing this reincarnation of the original in the paddock area with swarms of mechanics, 'teckies' with laptop computers running around and gobs of race fans 5 and 6 deep trying to get a glimpse. My best shots came in the late night hours Friday night before the race when I snapped a few shots while winding my way around the garages. I have some action shots from the race track included here as well. Time has changed the face of the competition and now it seems the boys to beat are from Detroit- The Corvette C7.R , however there's always the Porsche, BMW and Ferrari teams to contend with. It will be a race to watch and I hope you enjoy this build up to the one of the most important races this year- or maybe in 50 years! 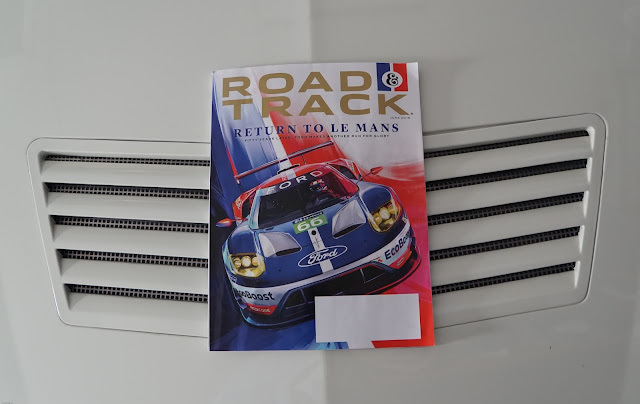 I would like to add, if you don't get Road & Track magazine, you need to go buy a copy at the local newsstand. The June 2016 issue covers the story better than anyone out there. It is a keeper. Enjoy the pics and stay tuned for more.